Most of us are mourning the second great fire to ravage Charles Rennie Mackintosh’s masterwork, the Glasgow School of Art. Mackintosh was a hugely creative architect and designer who worked closely with his wife, Margaret Macdonald Mackintosh who was a well known artist in Glasgow. The entrance to the Glasgow school of Art typifies the organic forms of the Art Nouveau Style they did so much to popularise. Every detail of the stonework, ironwork, window fenestration, lighting etc has been considered. 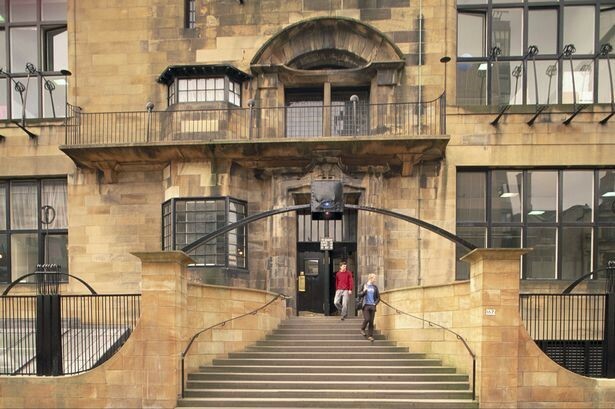 As a newly-qualified young architect I was privileged to work for William Whitfield and saw completion of his Hunterian Gallery at Glasgow University which incorporates a replica of the Mackintosh House including original furniture and decorative schemes. If you are ever in Glasgow it is well worth a visit.